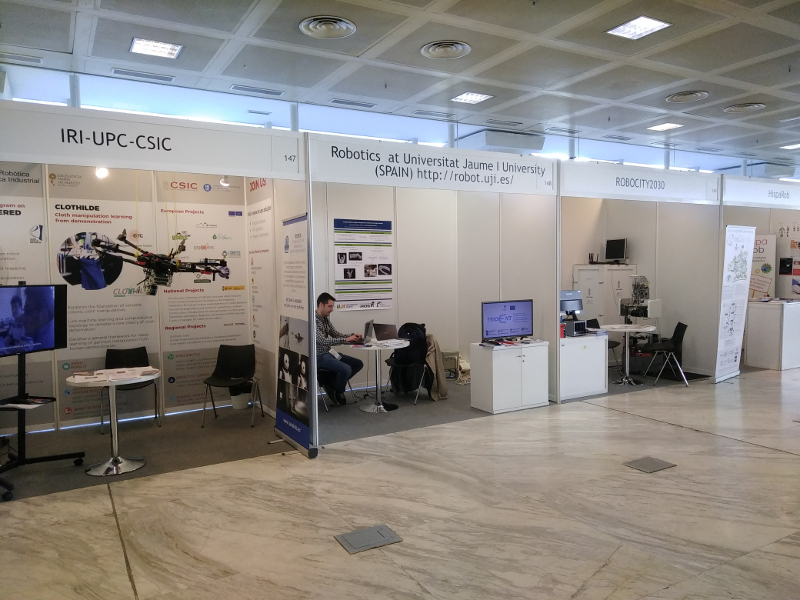 We invite you to visit the stand of our laboratory “Robinlab” at the IEEE/RSJ International Conference on Intelligent Robots and Systems Madrid 2018 that takes place in Municipal Coneference Centre from 1st till 4 th of Octuber, 2018. 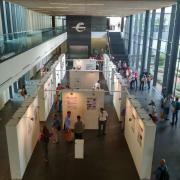 Our University stand will be located in the spositor area, 3rd floor, stand No 148. The RobIn Lab presented an article about the improvements in the system proposals to solve the Amazon Challenge in 2015 and 2017. 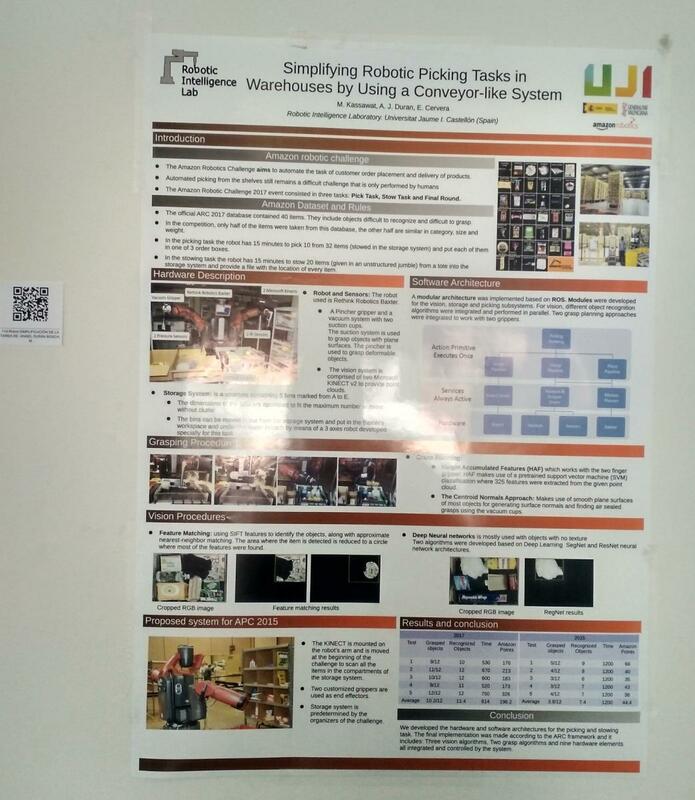 This presentation was done by Majd Kassawat at Jornadas de Automática 2018 in Badajoz (Spain). We already have a timetable for the second edition of our MOOC, Autonomous Mobile Robots! Calendar: from May 14 to June 28, 2018. Workload: 6 hours per week. We have changed some aspects of the course and we hope to have as much success as in the last edition.